Find out how the aesthetic contrast of material connects sight, touch and history in our Beoplay M3 collaboration with cutting edge textile designers Kvadrat. From the cool perfection of aluminium to the welcoming warmth of wool, the materials we use connect sight and touch, creating distinct aesthetic contrasts. Read how these two material ideas come together in the two different covers of our new Beoplay M3 speaker, and our collaboration with cutting-edge design textile company, Kvadrat. Designed by award-winning Danish designer Cecile Manz, our Beoplay M3 speaker was conceived to be adaptable to any home environment, especially by choosing the right materials for its front panel – either in B&O PLAY’s signature aluminium, or with a woollen weave by Danish design textile company, Kvadrat. 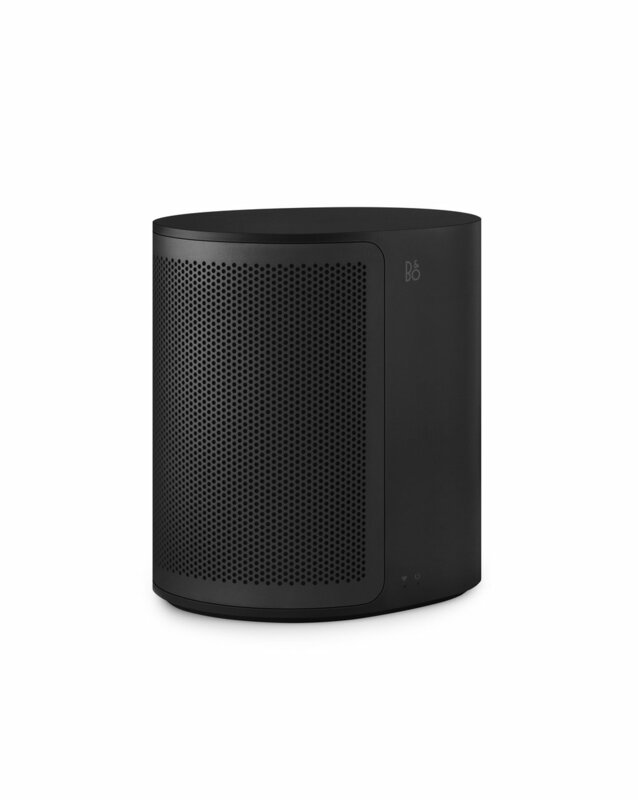 “Beoplay M3 is all about character; one that can easily adapt to any interior style.” says Manz. “We have worked hard to get the very best of the premium materials used and the result is a sleek, hyper-simple speaker with a precise shape that blends in perfectly with your interior”. Those technical considerations work in counterpoint with aesthetic decisions. Our juxtaposition of wool and anodised aluminium works together harmoniously due to the intense subtlety of finish of each material – and the M3 is testament to both B&O PLAY and Kvadrat's long-standing obsession with developing processes that allow for a product where nothing has been compromised. Just as the finish achieved by Ib and his colleagues back in Factory 5 in the rural Danish environs of Struer is the result of a long, complex creative process – unique expertise gained over many years by Bang & Olufsen's specialists – it’s a shared value across the North Sea in Huddersfield, West Yorkshire. That's where Kvadrat’s partner mill, Wooltex resides. It's an area where weaving and spinning wools and cotton was at the heart of the 19th century Industrial Revolution, an evolution that changed the entire world. Skjold explains, “We are small Danish companies that have grown into global brands,” she says. “There's such a lot of synergy there – and a lot of stories to be told”. The tale of this collaboration begins in 2015 with textiles for our Beoplay A6 speaker, which led to a textile being developed for our Beoplay A9 and the Beoplay M5 speakers – and now Beoplay M3. Earlier this year Kvadrat also supplied a different textile for the larger wall-mounted Beoshape modular speakers.